Why Did the Building Cross the Road? 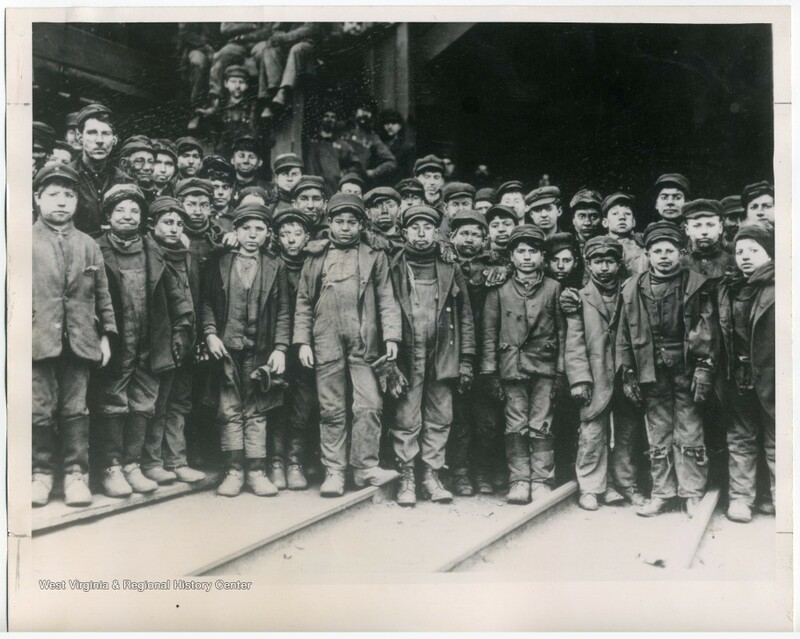 We do our best to include all relevant information, and to identify the people and places in every photo we put onto West Virginia History OnView. 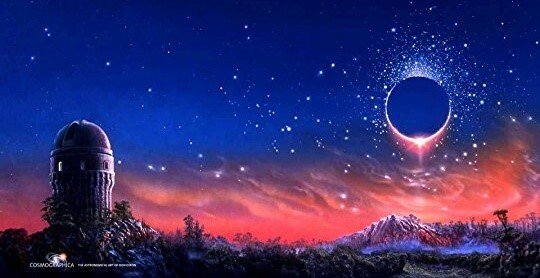 Sometimes, we just do not know who the people are, or where they are. Recently, I came across this photo, which shows a group of men working to move a small building across the road. 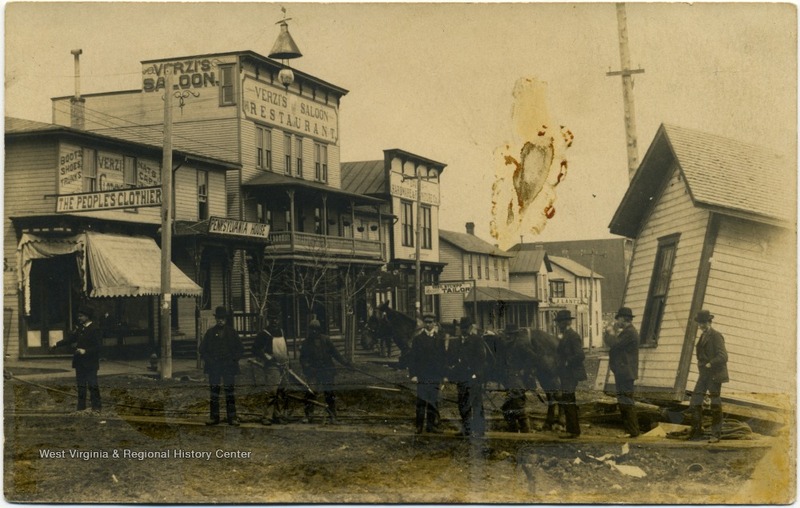 The town is unidentified, and there is no additional information other than what is in the image. This image is ID number 050711 on West Virginia History OnView. We were also celebrating one of our newest archival collections, zines by West Virginia zine makers. Last fall the West Virginia and Regional History Center began collecting zines from around the state. Donor Bryan Richards, of the Travelin’ Appalachians Revue, has been the major donor of this collection. 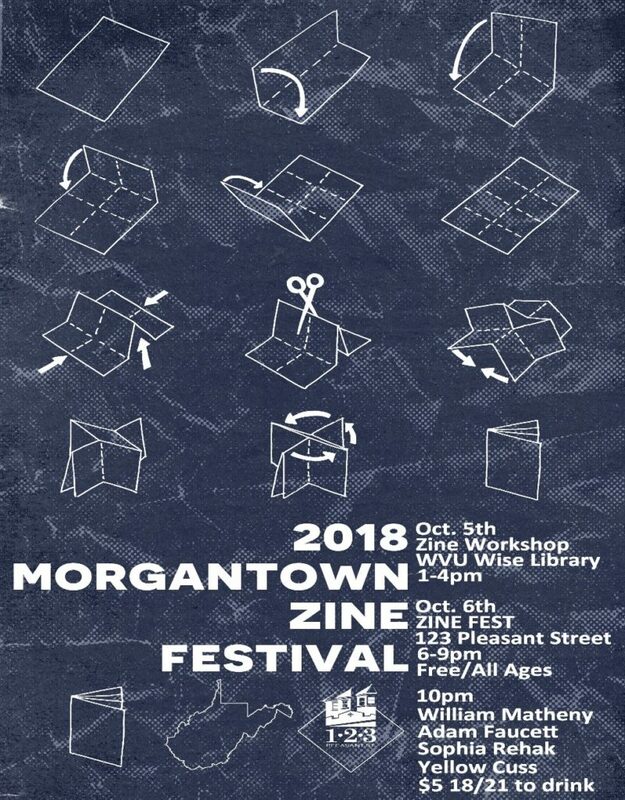 He is also one of the organizers of the Zine Fest and designer of this year’s poster, shown below, advertising a weekend’s worth of activities and music. 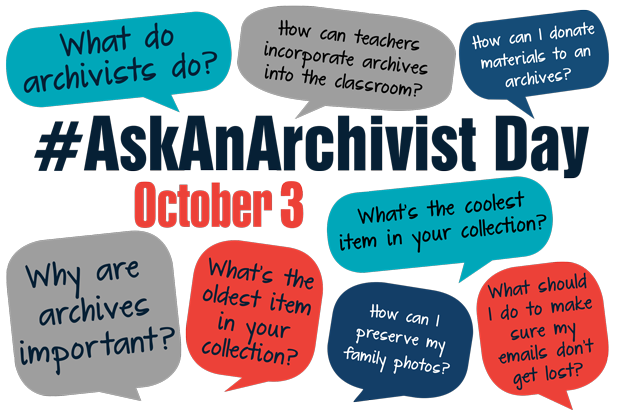 October 3, 2018 is #AskAnArchivist Day! This day-long event, held on Twitter and sponsored by the Society of American Archivists, will give you the opportunity to connect directly with archivists in your community—and around the country—to ask questions, get information, or just satisfy your curiosity. Staff at the WVRHC will be participating via the Libraries’ Twitter handle, @wvuLibraries. 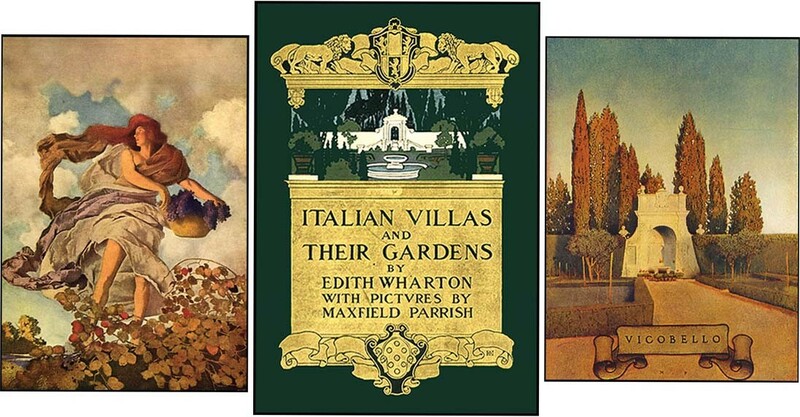 As professional experts who do the exciting work of protecting and sharing important historical materials, archivists have many stories to share about the work they do every day to preserve fascinating documents, photographs, audio and visual materials, artifacts, and even digital materials. What questions can be asked? No question is too silly . . .
What do archivists like to listen to while processing collections?
. . . and no question is too practical! I’ve got loads of digital images on my phone. How should I store them so I can access them later on? How do you decide which items to keep and which to weed out from a collection? As a teacher, how can I get my students more interested in using archives for projects? To participate, just tweet a question and include the hashtag #AskAnArchivist in your tweet. Your question will be seen instantly by archivists around the country who are standing by to respond directly to you. 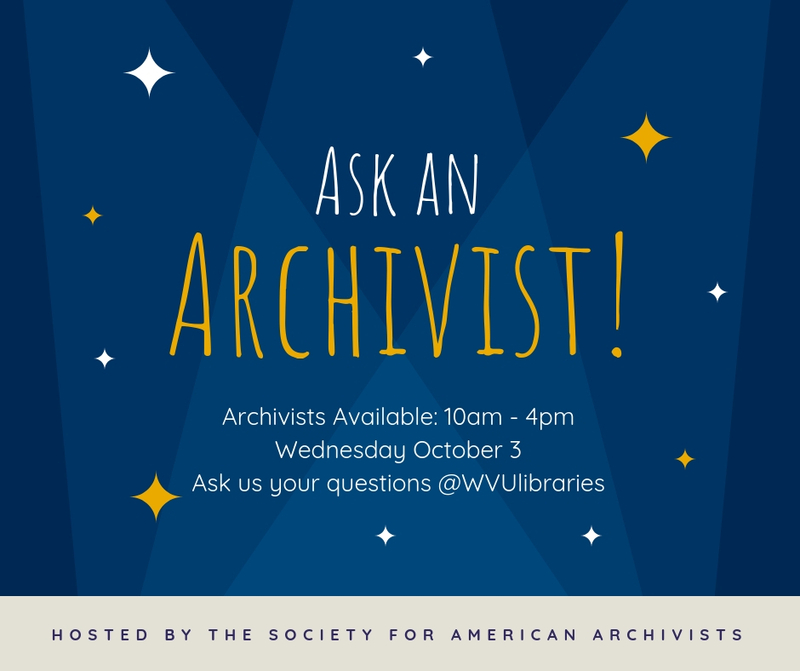 If you want to ask a specific institution directly, include their handle (e.g., @wvuLibraries) in your tweet. Don’t have a Twitter account? That’s okay! You can follow along even if you don’t have a Twitter account here: https://twitter.com/hashtag/AskAnArchivist?src=hash. If you have a question, feel free to ask the WVRHC questions on our other social media pages (Facebook and Instagram) or send us a message through our contact form. We look forward to hearing from you! Banned Books Week, the last week in September, is an annual event celebrating the freedom to read and to seek and express ideas (even unpopular ones), spotlighting censorship and censored authors. It dates back to 1982, and is supported by a national coalition. The Libraries celebrate this year’s Banned Books Week with a display in the Downtown Campus Library entrance and a historical discussion on banned books presented by Law Library Special Collections Librarian & Archivist Mark Podvia and the ACLU of the WVU College of Law (Wednesday, September 26, 12-1 PM in Room 141). 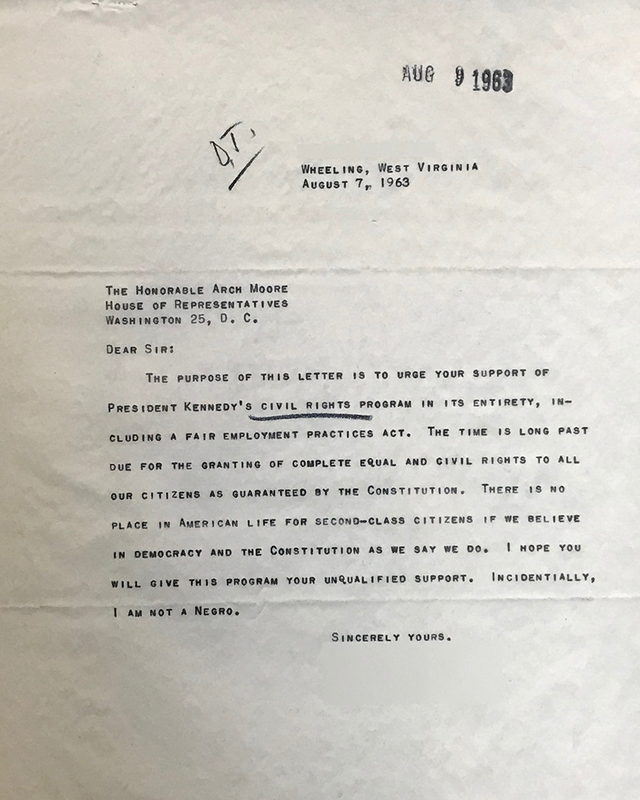 Constituent correspondence in both paper and digital formats can play an important role as Congress considers legislation and can be found in archives across the country. 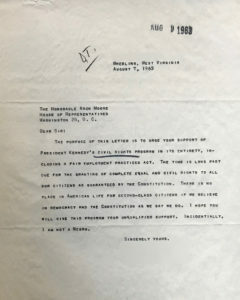 This letter is an example of materials preserved in the WVRHC. West Virginia University Libraries has been awarded a $27,000 LYRASIS Catalyst Fund grant to plan for preserving and providing access to congressional constituent correspondence data. Since the late 1970s, constituent correspondence has moved from paper to digital formats, and archives across the country now receive correspondence as data exports. WVU Libraries has developed an innovative open-source system that could make access to the data possible. The LYRASIS grant will support a feasibility study that will assess the WVU Libraries’ open-source system and engage the congressional archives community to develop a roadmap for creating a cooperative, data sharing infrastructure. Although Isaac Asimov, one of the greatest science fiction authors of all time, passed away in 1992, his work lives on in the West Virginia University Rare Book Room. One of the most prolific science fiction authors of the twentieth century, Asimov made a huge impact on how we view the future. Asimov was responsible for more than 500 authored and edited publications. Among his most popular novels are the Foundation Trilogy, The Martian Way, and The Stars like Dust. Books that were turned into movies include I, Robot, the Fantastic Voyage, and the Bicentennial Man. 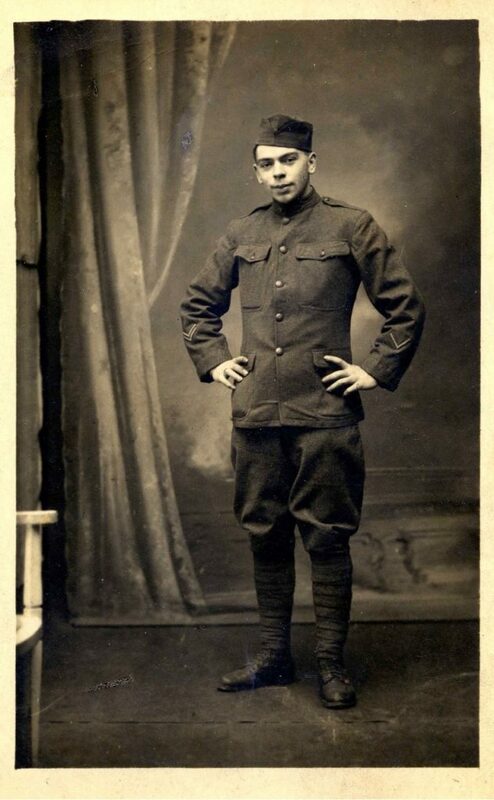 Elmer Walton (1897-1960) of Martin’s Ferry, Ohio, as a member of the 4th Regiment, 3rd Division of the American Expeditionary Force in France, participated in the Second Battle of the Marne (July 15 to August 6, 1918), and in two campaigns of the final “Hundred Days Offensive” including St. Mihiel (September 12-15, 1918) and the Meuse-Argonne Offensive (September 26 to November 11, 1918). Portrait of Elmer A. Walton, By a Photographer in France, 1918. 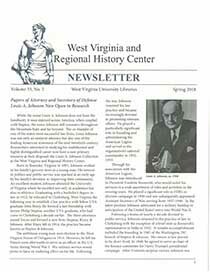 The latest newsletter of the West Virginia & Regional History Center is now available online. The two feature articles are “Papers of Attorney and Secretary of Defense Louis A. Johnson Now Open to Research,” detailing the life and accomplishments of one of the founders of Steptoe and Johnson, and “WVRHC Research Grants Assisting Scholars from Around the Globe,” which includes reports from three recipients of the WVRHC research grants. You can read a PDF copy of the newsletter online or contact the Center to request a print copy. If you want to see back issues of the newsletter, they are all online and accessible through our Newsletter webpage. 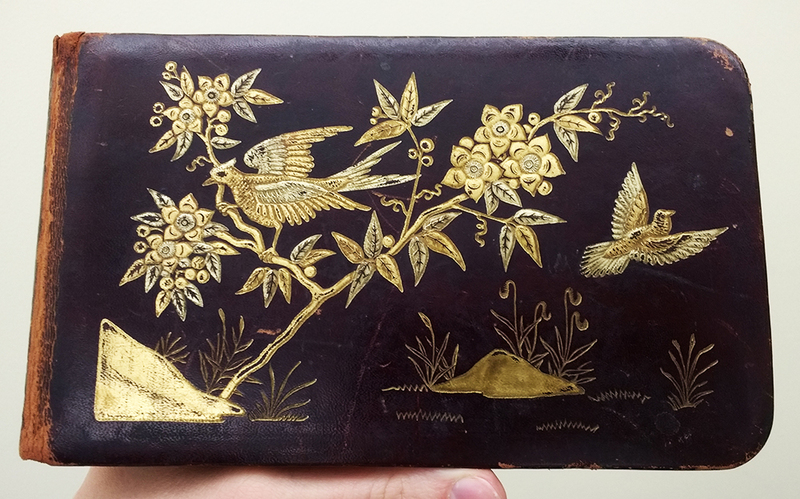 I recently accessioned an autograph book. By following some of the clues in the book and using some basic genealogy resources, I found out more about its owner. West Virginia University Libraries and the West Virginia and Regional History Center will address the law and lawyers in the Mountain State to mark the 155th anniversary of West Virginia’s founding on June 20. 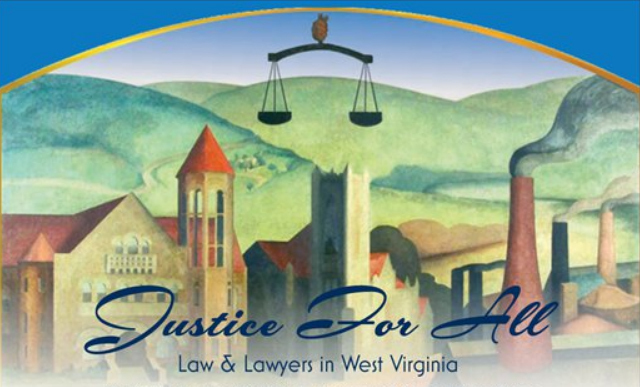 “Justice for All; Law and Lawyers in West Virginia” will commemorate the key role the legal profession has played throughout the history of the nation’s 35th state. “Few people are aware that West Virginia has made nationally significant contributions to law and legislation in fields including labor and industry, natural resources, medicine and education among others,” WVRHC Director John Cuthbert said. 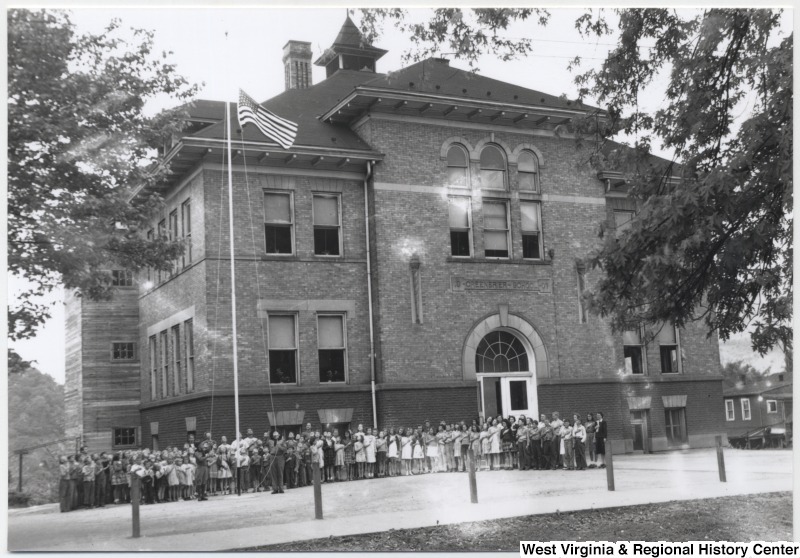 Seventy five years ago today, on Flag Day, June 14, 1943, the Supreme Court of the United States (SCOTUS) handed down its decision in the case of West Virginia State Board of Education v. Barnette. This landmark case expanded religious freedom for all Americans under the free speech clause of the First Amendment of the Constitution. The ruling said that mandatory flag salutes in public schools violated free speech and were therefore unconstitutional – reversing a decision from just three years earlier. It comes as a surprise to some that West Virginia and its flagship university have both produced a cavalcade of distinguished leaders in business, science, government, the arts and the military, just to name some areas. “People will say, ‘I didn’t know that you were from West Virginia,’ or ‘I didn’t know you went to West Virginia University’. 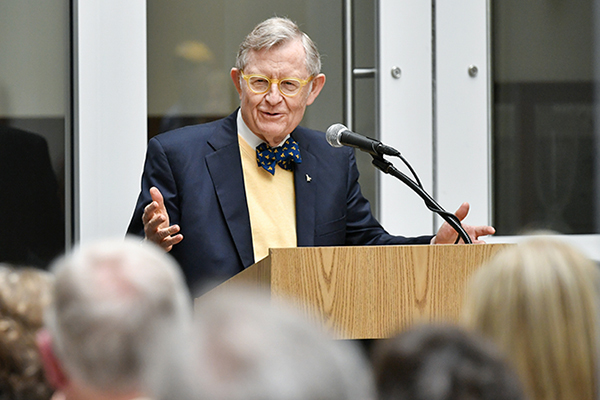 And that, of course, is something we want people to understand,” WVU President Gordon Gee said in announcing an effort to remedy that lack of knowledge. “We’ve been celebrating the achievements of the University and that celebration includes the fact that we have built ourselves on the base of great giants who have made such a difference to this state and this nation and most importantly our students,” Gee said Saturday in announcing the Distinguished West Virginians Archives, a new initiative to document the lives and legacies of West Virginians who have achieved extraordinary accomplishments and bring them to the attention of the state and the nation. The way people communicate is evolving along with technology. Today, we have event pages on Facebook to alert friends and customers to upcoming activities, and blog posts and newspaper editorials on the web to share our political feelings. What filled these communication needs before the internet? In some cases, the answer was broadsides! A broadside is “a single sheet with information printed on one side that is intended to be posted, publicly distributed, or sold” (according to the Society of American Archivists). The WVRHC’s broadsides collection includes posters, handbills/flyers, and other types of advertisements and announcements. In West Virginia, spring brings a selection of new and fresh foods. 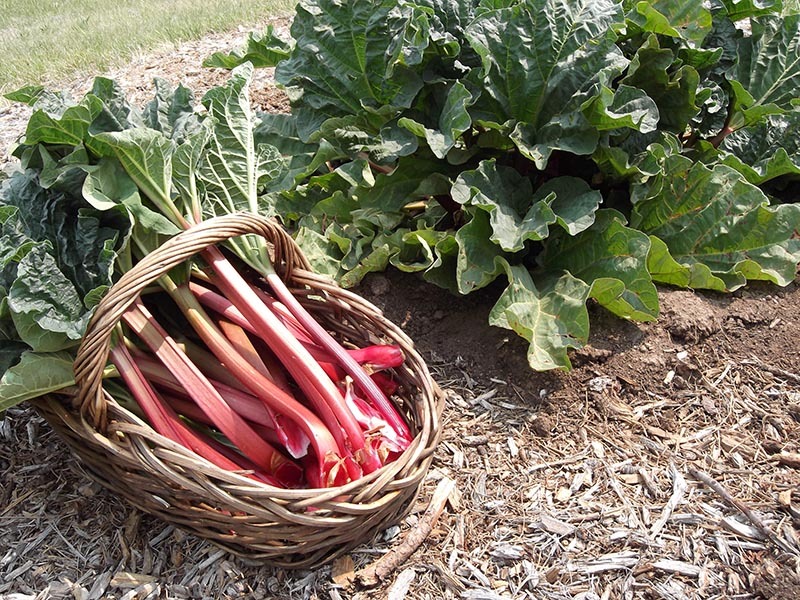 Ramps and morels each have a season, as do strawberries and my subject today: rhubarb.